Burnout is a painful topic to write about because as therapists, we like to be upbeat and positive. Yet burnout is very real, problematic yet avoidable with the right understanding, awareness and tools. One of the things I recognise a lot with the hypnotherapists I mentor to develop their businesses, and those I supervise, is how crazy busy they are. They are often not effectively productive, but are incredibly busy, working long hours, trying to cram so much activity into their days along with seeing their clients. They are under pressure too, stressed and sometimes struggling to deal with it all and earn a healthy living. This is a recurring theme among individuals in caring and therapeutic fields; that of practitioner burnout. Therapists, coaches, and wellness professionals are continually faced with job stresses including clients, running and growing the business, (often in isolation i.e. Private Practice), and sometimes with little business experience and only being guided by the many false gurus out there. We often forget to delegate the “non-money making” tasks. On top of this, by nature of our heart-based professions, we are continually exposed to emotionally draining situations and the numerous emotional vulnerabilities that form a large part of our profession. Across numerous studies, it appears that 21% – 67% of mental health workers may be experiencing high levels of stress and getting close to burnout. Between managing clients, emotional fatigue from various distractions, stress is absolutely inevitable. Research stresses mental health professionals must recognise that they are only one to prevent burnout and understanding of burnout doesn’t make them immune to it. Marieke Ledingham, a lecturer in counselling at the University of Notre-Dame, Australia, conducted a study of mental health workers in an attempt to explain why so many were suffering burnout in such large numbers, despite understanding it’s causes. Typically, mental health workers do not recognise the symptoms in themselves and often assume burnout will not happen to them according to Ledingham; rather than perceiving themselves as immune to mental distress because of their occupation, mental health workers should consider burnout to be a major occupational health risk. The sort of stress us therapists encounter, if it becomes excessive, is likely to create a reduction in our capacity to make decisions and think clearly, which are really important in our line of work. Despite this, mental health workers are less likely than other caring professions to seek help before it gets to the burnout phase for a variety of reasons. Maybe an article such as this can start to help with raising awareness and offering some tangible assistance? Practitioner stress is often caused by time restraints, demands, and pressures associated with the job. But while stress is overwhelming, it’s not insurmountable. Practitioner burnout, on the other hand, is when we feel like we can’t overcome the obstacles and experience a sense of hopelessness. Burnout is often caused by heavy personal responsibilities, being overworked, irregular sleeping patterns and financial concerns. As practitioners, it’s important that we avoid getting to this point if we want to continue achieving our goals and growing our business in a healthy way. So how do you prevent practitioner burnout? What are your strategies? Managing stress in the workplace is incredibly important – not only for your productivity in the office but also for your mental health and well-being (and ultimately the well-being of your clients). Although experiencing stress is natural and can feel unavoidable at times, there are a number of ways to help reduce work-related stress so it does not become burnout. More often than not, we feel pressured to accomplish more than we can realistically handle. It’s important to organise your tasks between those that need to be finished now, and those that can be tackled a little later on. Prioritise your work, organise your tasks into short term and long term goals. a) How To Be Incredibly Productive: 10 Keys to Productivity. b) 7 Ways To Be More Self-Disciplined. “It is only in sorrow bad weather masters us; in joy we face the storm and defy it.” – Amelia Barr. If you find yourself constantly thinking about work, replaying the scenarios of the day, or having trouble sleeping at night, it might be time to set some boundaries. These boundaries will be different for each individual, but it is important to set the right boundaries for you, your career, and your mental well-being. Even if you are in a role where you are constantly on the clock, ensure that you unplug from work for a set amount of time each day to recharge. Whether you decide to read a chapter of a good book, spend time with loved ones, or go to a yoga class, this ‘me’ time will draw a line between your work and personal life. a) Solitude – The Importance of ‘Me Time’ and How It’ll Make You More Successful. b) 9 Ways To Make The Most Of Your Time. If you truly feel you are about to crumble, be honest with yourself. Most of the time we have a fear that this will make ourselves seem incapable of doing our job. But you need to figure out what you need. Make their needs known and ask for help. Whether you go to your colleagues, a supervisor, friends, or family, it is important to feel you have an outlet to discuss your work and the stress it is causing. Being able to openly discuss the challenges you are facing can work wonders to reduce stress levels. It takes time and effort to maintain social connections, but supportive people are the best inoculation against burnout. a) Hypnotherapy with Adam Eason. 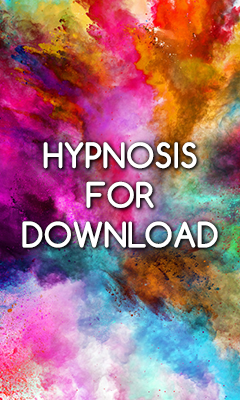 b) Hypnotherapist mentoring with Adam Eason. c) Coaching with Adam Eason. Try to find some time on your lunch break (or at any other time) to take a short walk outside. Even if it is a short walk, the outdoors will do wonders for you. The fresh air, nature, and motion of walking will release endorphins into your brain which will make you feel more empowered and able to conquer your work load. This is very evidence based and the simple act of having a change of scene can help greatly. One of the reasons I love living by the seaside is that during my working days and often straight after work, I walk along the sea front or play with my kids on the beach and work feels like it is a million miles away. a) Why You Need A Digital Detox and How To Have One. “Every day begins with an act of courage and hope: getting out of bed.” – Mason Cooley. In most cases, we are excited and happy once we make a new career choice. However, after some time, that excitement diminishes when we get settled into our routine. Remind yourself what it was about you made this choice in the first place. Was it to have the chance to do some real good in the world? Was it that you derive a sense of joy from doing effective therapy? Was it relocating to a city you had always wanted to live in? Was it to have life autonomy? Whatever the reason, hold onto that. There is a reason you are where you are, at one point this is exactly where you wanted to be. Hold that perspective. I know this sounds obvious. Eating healthy meals, exercising regularly, drinking plenty of water, and taking care of your mental well-being are not only incredibly beneficial to your health, but can significantly reduce feelings of stress. When the body and mind are in good health, you will be better equipped to handle stressful situations when they come your way. “Not until we are lost do we begin to understand ourselves.” – Henry David Thoreau. Finally and most importantly, know the signs of burnout before it becomes an issue for you. We’ve all heard the story about the frog who was boiled alive in a pot of water, not noticing the heat gradually rising. The same is true for burnout. If you don’t recognise your signs of burnout, you won’t be able to manage the risk and do something about it before it begins to affect your career or business. Have some strategies in place that help you to check in with yourself, to notice and understand your experiences and recognise symptoms and tell-tale signs – then act upon them before they get worse. To start, think about how you can structure your schedule around managing the trigger points unique to you. How can you better equip yourself to deal with setbacks and draining work? Likewise, what energises you and fills you with excitement, happiness and fulfilment? Is there a time of the day or week you are best able to handle these? And how can you pad the bad stuff out with the good, to reduce it’s impact on you? As you can see, knowing yourself is central to being able to do more of the work you love, the way you love to do it. The world needs you, so make sure you take care of yourself. 1. Would benefit from some help, support or assistance in an area of your life? 2. Would you like a satisfying and meaningful career as a hypnotherapist helping others to overcome issues and deal with themes such as those mentioned here? Are y ou a hypnotherapist seeking stimulating and rewarding CPD or advanced hypnotherapy training? 3. Are you a hypnotherapist looking to enhance the success of your business and fulfil your career ambitions?